I’ve noticed that I haven’t posted pictures of Matthew lately so I thought it was time I did. 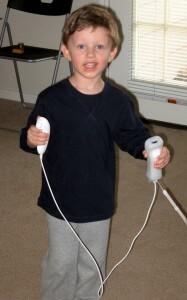 Matthew & I were playing the Wii today after our walk and he was so smiley I had to take a picture. Even though you can never capture the exact moment of the biggest smile because my camera has a slight delay, I thought this was very cute. It will be wonderful to see everyone and I hope everyone has a Happy Thanksgiving. 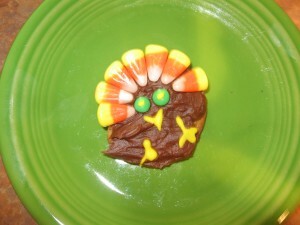 Enjoy Turkey Day. I know we will. 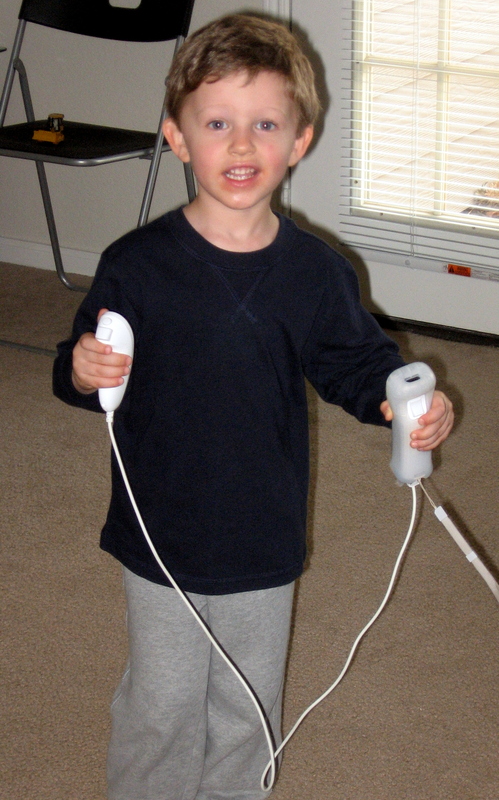 Matthew recently upped his Wii Play Tanks score from 195 to 295! Yay, Matthew. I can’t believe he will be 4 years old on Christmas day. Don’t tell him but we found a good deal on Wii games last night and bought him a couple. They were two he actually saw the previews for and said we would like to ask Santa for. He has out grown Wii Play seeing as he has platinum medals for every game on the disc! So I bet he will be happy about the new games. Temperatures finally fell down around freezing here in Austin last night and I absolutely love it! It puts me in the Christmas shopping mood that all the retailers anticipate every year as the first really good cold front comes through. Since I had never even visited Austin in the winter, I was beginning to worry that it would never feel like holidays were you could bring out the long sleeves and jackets. Matthew and I even listened to Christmas songs on the way to the store this afternoon! He loved “Jingle Bells” and asked the name of every song as it came on. Bring on the holidays! I love it! Warning: Bragging Parent Message To Follow! Anyone of you who have played tanks on Wii Play will appreciate this, not to mention how amazed I am about how well Matthew plays the game: Matthew is 3 years, 10 months old and this morning he completed 45 missions with a total score of 195 tanks! I know I probably should not brag about my child playing video games, but trust me when I tell you he is in constant motion while playing, working up a sweat and I do make sure he gets outside everyday to run around! That said, I myself have never gotten a score of more that 19 tanks (with Matthew’s help) and I think Tony has topped out around 50 or 60 so you can see Matthew’s score is pretty amazing. You wouldn’t believe his coordination and thinking skills he uses to out smart the other tanks! Ok, I will stop gushing about how smart my little cutie pie is but I do want to tell Matthew’s Uncle Billy that I hope he has been praticing tanks a lot-Matthew is ready for a rematch!